CALGARY, AB – A brewery in Calgary’s Beltline neighbourhood that debuted with pop-up growler sales earlier this autumn has announced that its taproom is now open for business. The taproom officially opened in late October, and is offering a variety of beers by the glass and growler including four core brands – Bridgelandia Modern Blonde Ale (5% abv), The 800 Block NEIPA (5.5% abv), Brickworks English Dark Mild Ale (4.3% abv), and Hub & Spoke Vienna Lager (4.4% abv) – and a rotation of small-batch beers brewed on a pilot system. The bar also features pressurized infusion taps that allow the brewers to experiment with adding flavours to beers at time of serving. 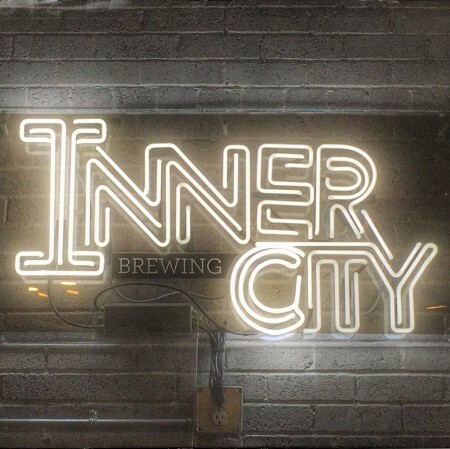 Inner City Brewing is located at 820 11 Ave SW in Calgary, and is open from 11:00 AM daily, with closing time varying by day. For more details, see the brewery’s website and Facebook page.